Crisp cereal clusters with Flame raisins. Get ready for light and crunchy golden oat clusters scattered with extra-juicy Flame Raisins. And the best part? They stay crunchy to the last bite. We've been making delicious, wholesome, natural breakfasts for over 40 years. We just take creamy, wholegrain British oats and bake them until they're deliciously crunchy and golden. We then add a generous handful of the things we know you adore - whether you're a fruit fanatic or a nut lover. That's it. Basically, we take simple, good stuff and don't mess about with it. Delicious. Since 1985, Jordans has worked with British farmers to dedicate land of nature and wildlife - creating a huge nature reserve to help birds, bees and butterflies thrive. We are now working with wildlife experts and the Princes Countryside Fund to help our farmers manage 10% of their land for wildlife and provide funding to support rural communities. 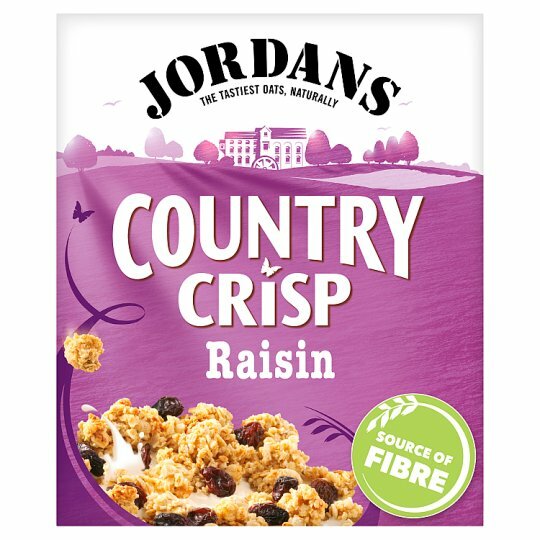 So, by purchasing Jordans cereals you are helping our British farmers protect the countryside and look after the communities that make it so special. 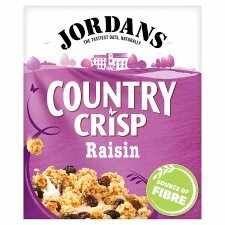 If you enjoyed this, why not try Crunchy Oat Granola Raisin & Almond? Store in a cool, dry place and give this box a shake before opening. Once opened, roll down the bag and tuck in the flap. 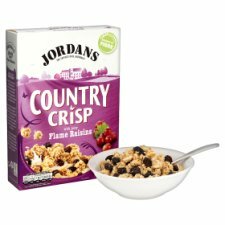 We'd love to hear your comments & feedback about our cereals, so please let us know what you think. If you are unhappy with any Jordans product, get in touch and we'll do whatever we can to help. This won't affect your statutory rights.